The world’s only population of critically endangered Javan rhinos could go extinct in the future due to natural disasters such as earthquakes and tsunamis. Scientists are urging the establishment of secure populations and increasing the existing population in Ujung Kulan National Park. The world’s only remaining population of Javan rhinoceros, living in the Ujung Kulon National Park, is under threat from poaching. A new study in Conservation Letters has also discovered that they could go extinct in the future due to natural disasters, including volcanic eruptions and tsunamis. The team of international researchers who worked on the study are now urging the establishment of secure populations of the critically endangered species. Javan rhinos live within sight of volcanic Mount Krakatoa and close to the Indonesian Sunda Arc, which is an area of converging tectonic plates that commonly cause earthquakes, triggering tsunamis. In 2013, the global population of Javan rhinos was 62 animals – likely near the site’s current capacity. A tsunami as high as 10 metres (around 33 feet) could threaten 80% of the area in the national park that has the highest density of rhinos. Unfortunately, a tsunami that high is projected to occur within the next 100 years. Therefore the authors of the study recommend the establishment of additional rhino populations away from the reach of natural disasters. The study used camera traps to provide a detailed analysis of the Javan rhino population. The researchers obtained 1,660 images of rhinos from 178 camera trap locations in 2013 to produce their population estimate of 62 individuals. This compares with an estimate of 25 animals in 1937. The authors also emphasise the importance of taking conservation actions that can help increase the Ujung Kulon National Park’s small rhino population, improving the survival odds for at least part of the population in case of a natural disaster. This includes maintaining the strict protection of the remaining rhinos, continuing the rhino monitoring work and scaling up ongoing habitat management. 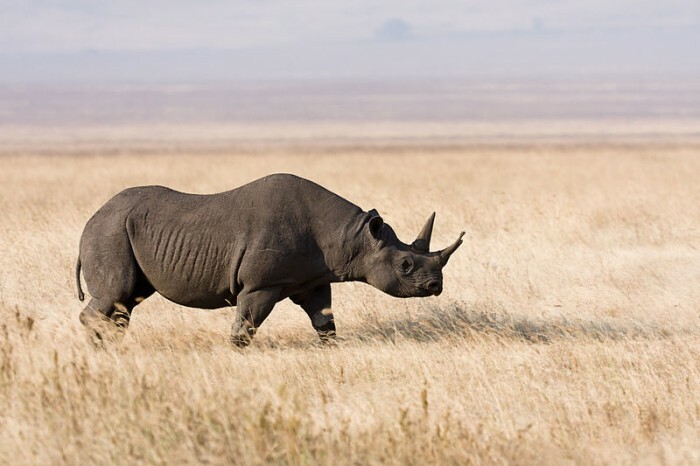 Specifically, this would mean controlling Arenga palm, which shades out the forest floor and inhibits the growth of plants that the rhinos consume. 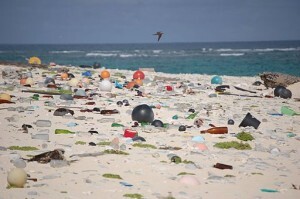 A worldwide survey has revealed that hundreds of marine turtles are dying each year because they are becoming entangled in rubbish in our oceans and on our beaches. 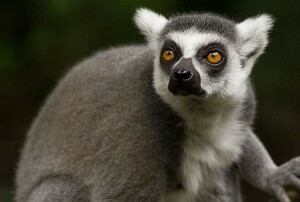 Madagascar’s iconic primate, the ring-tailed lemur, is in desperate need of conservation action as scientists estimate there are less than 2500 individuals left in the wild. 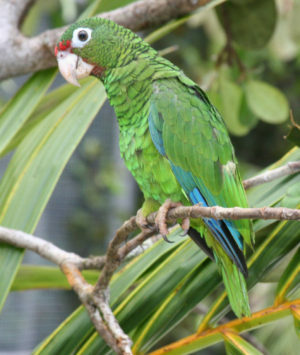 A recent study has discovered that more than 38% of Neotropical parrot populations on the American continent are under threat of extinction, and human activities such as hunting for the local and international trade and habitat loss are to blame. 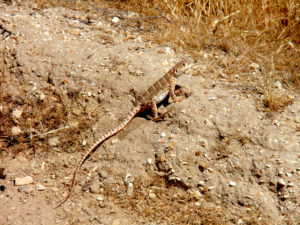 Farmland soon to be retired in California’s San Joaquin Desert could play a crucial role in the habitat restoration and protection necessary to conserve the blunt-nosed leopard lizard and other endangered species.